Reading and share top 3 famous quotes and sayings about Filial Piety by famous authors and people. Browse top 3 famous quotes and sayings about Filial Piety by most favorite authors. 1. 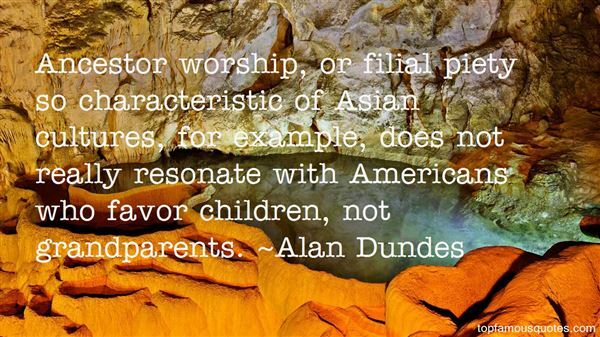 "Ancestor worship, or filial piety so characteristic of Asian cultures, for example, does not really resonate with Americans who favor children, not grandparents." 2. "They yoked themselves to a car and drew her all the long way through dust and heat. Everyone admired their filial piety when they arrived and the proud and happy mother standing before the statue prayed that Hera would reward them by giving them the best gift in her power. As she finished her prayer the two lads sank to the ground. 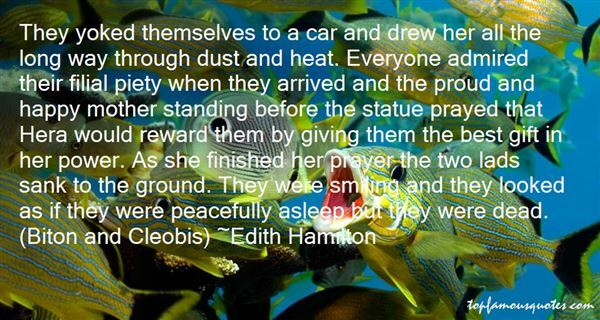 They were smiling and they looked as if they were peacefully asleep but they were dead. (Biton and Cleobis)"
3. "An abyss of fortune or of temperament sundered him from them. His mind seemed older than theirs: it shone coldly on their strifes and happiness and regrets like a moon upon a younger earth. 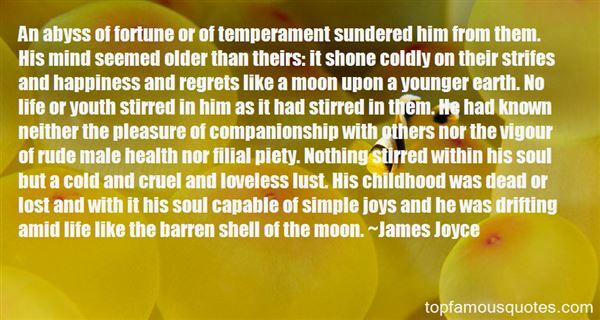 No life or youth stirred in him as it had stirred in them. He had known neither the pleasure of companionship with others nor the vigour of rude male health nor filial piety. Nothing stirred within his soul but a cold and cruel and loveless lust. His childhood was dead or lost and with it his soul capable of simple joys and he was drifting amid life like the barren shell of the moon."